Welcome to the Yolo County Sheriff’s Office. 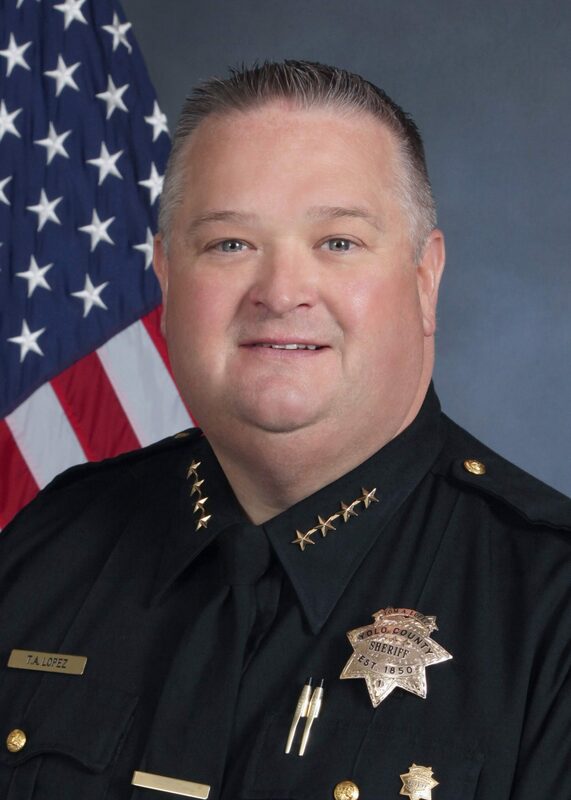 My vision is to make the Yolo County Sheriff’s Office one of the best agencies in California. We have worked very hard to realize that vision. Our staff is highly trained and have some of the best equipment available to law enforcement, which helps us serve our community. We have enjoyed a rich history of service to our citizens since 1850. Today, we have over 300 full and part time employees and volunteers who are dedicated to public service. We serve a population of approximately 200,000 residents. We currently serve the cities Woodland, Davis, Winters, and West Sacramento, the U.C. Davis campus, and the unincorporated towns of Brooks, Capay, Clarksburg, Dunnigan, Esparto, Guinda, Knights Landing, Madison, Rumsey, Yolo and Zamora.